To reduce risks faced by poor communities to outbreaks of bird flu (highly pathogenic avian influenza), experts in Indonesia say poultry farmers, traders and transporters, as well as the general public, need to be better educated about the disease and its control. They also recommend strengthening the capacity of Indonesia's institutions to control the country's bird flu pandemic. These recommendations were made during a workshop held in Bogor, Indonesia, 5–6 August 2010, that concludes the research activities of an Indonesian component of a project to develop strategies for reducing the risks of bird flu among poor communities in countries of Asia and Africa. The two-year project is supported by the UK Department for International Development and is implemented in Cambodia, Indonesia, Thailand, Vietnam, Ethiopia, Ghana, Kenya and Nigeria. 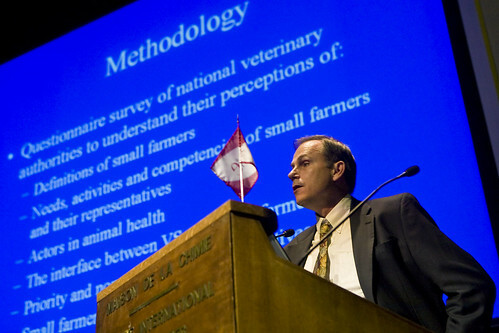 About 40 participants attended the Bogor workshop, some drawn from the key partners in the project: the Food and Agriculture Organization of the United Nations, the Indonesian Ministry of Agriculture, the International Food Policy Research Institute, the International Livestock Research Institute (ILRI), and the Royal Veterinary College. Other participants represented a variety of stakeholders in better control of bird flu in poor communities. These included local universities such as Gadjah Mada University, in Yogyakarta, and Bogor Agricultural University; local poultry farmer groups and members of the poultry industry; and international researchers and donor agents conducting similar projects in the country. Ad hoc institutions set up after the initial outbreaks of bird flu in the country played a key role in the subsequent dissemination of information on bird flu. The Indonesia National Committee for Avian Influenza Control and Pandemic Influenza Preparedness is one such institution, which usefully brought together animal and human health authorities in a joint response to the pandemic. The workshop members recommended that these institutions be integrated into relevant government departments throughout the country’s administrative units. These recommendations will be further developed in consultation with the Indonesian Ministry of Agriculture. This piece is adapted from an original story posted on the Market Opportunities Digest blog drafted by ILRI staff members Fred Unger and Bernard Bett, scientific members of the project who attended the Bogor workshop, and Tezira Lore, communications specialist for ILRI's Markets Theme. 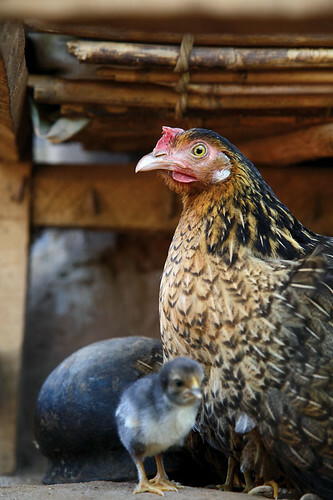 The risk of avian flu on poultry production continues to be a threat to the livelihoods of many poor and livestock-reliant farmers in developing countries such as Kenya, researchers say. 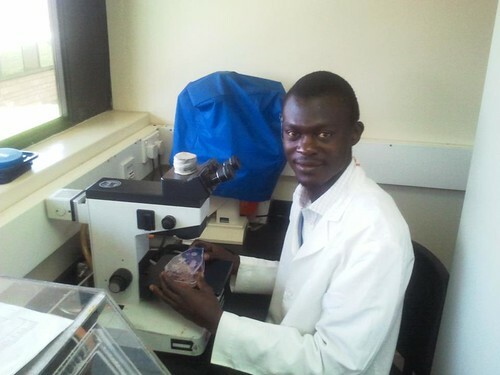 Scientists from the International Livestock Research Institute (ILRI) and the International Food Policy Research Institute (IFPRI) have found that poultry farmers in Kenya are ‘highly susceptible to the introduction and spread of the highly pathogenic avian influenza (HPAI)’ because of the country’s location along key wild birds’ migratory routes and the absence of strong mechanisms to deal with a possible outbreak of the disease. Like in many developing countries, poultry production is an important livelihood activity in Kenya. 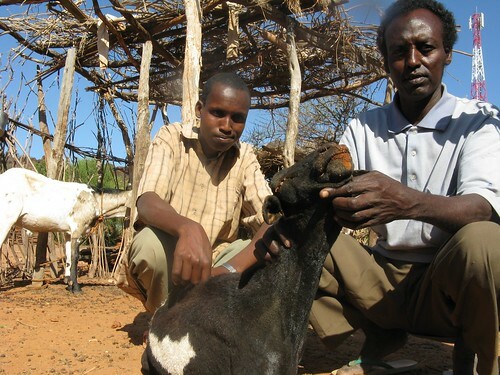 Most poultry is kept by small-scale farmers in non-commercial settings, who depend on income from the sale of eggs, animals and meat to sustain their livelihoods. Results from a 2009 impact assessment conducted by ILRI, IFPRI and the Royal Veterinary College in London with support from the Department for International Development (DFID) on the ‘Role of Poultry in Kenyan Livelihoods and the Ex Ante Impact Assessment of HPAI on Livelihood outcomes’ show that farmers in the key poultry producing regions of the country are not adequately prepared to deal with an outbreak of avian influenza. Though the country has not had an outbreak of avian flu, there were two scares in 2005 and 2005. The scares led to a slowdown in the industry as farmers, in fear of making losses, reduced flock sizes by up to 40 per cent. The two scares also led to a depressed market for poultry and poultry products and lowered the prices which negatively impacted farmers. 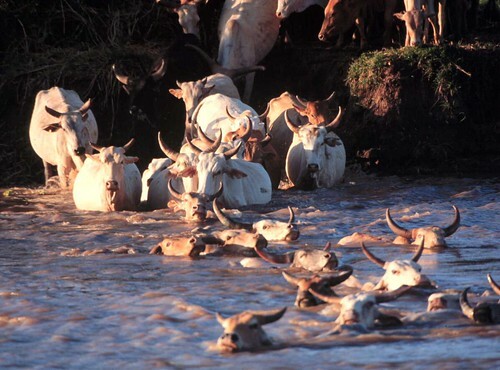 The assessment showed that farmers in Kenya are still at risk especially because the country’s human and animal health services are not adequate. Coupled with the fact that most of the poultry farming in the country is a ‘backyard poultry system’ preventing and controlling disease outbreaks would be significantly difficult. Among others, the results of the assessment also showed, like other studies had confirmed, that poultry production is largely done by women and children to support livelihoods and that most of the poultry in Kenya is produced in the country’s western and eastern regions. Farmers in these places are most at risk of loses in the event of a HPAI outbreak. Kenyan farmers keep an average flock size of 18 birds across the country but there are significant variations across regions mostly determined by ease of access to markets. Nairobi province, for example, has large producers (though fewer in number compared to other regions) with an average of 158 birds per flock because of access to ready market for their animals.